IS 'Balkmania' coming back at San Miguel? Nothing is certain yet although Renaldo Balkman did show up at the Mall of Asia Arena Saturday night and watch San Miguel demolish Phoenix, 100-88, in Game One of their PBA Philippine Cup semifinals. 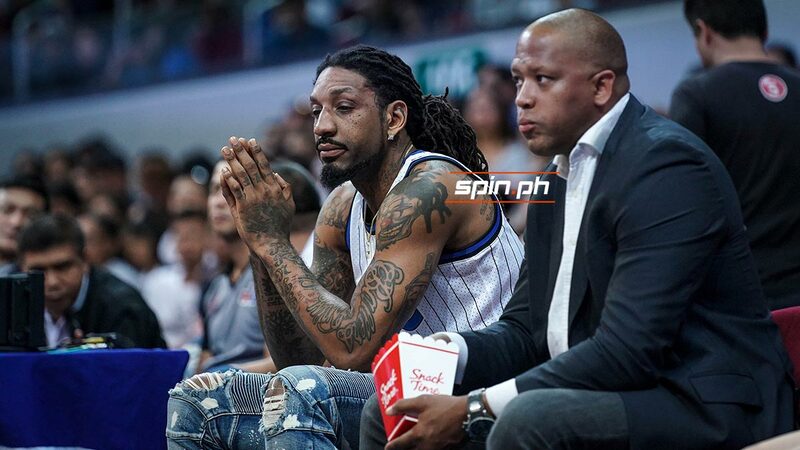 Though the Puerto Rican made it clear that he was at ringside to show support to his 'brothers,' speculations went around that Balkman may be back for another tour of duty with the Beermen for the coming Commissioner's Cup. So is he suiting up for San Miguel? Balkman was asked. "It's up in the air right now. I don't know," he said outside of the San Miguel dugout. "I don't know if I play yet, but I just got some things to do here in the Philippines," Balkman added. "Let's see what's next for me. I'm just here, working out, getting my body back healthy and staying in shape for the call." The 34-year-old Balkman is fresh from his stint with Alab Pilipinas which fell short of retaining its ASEAN Basketball League (ABL) title recently. Last year, Balkman made his PBA return and played for the San Miguel Beermen, who he led to the finals of the Commissioner's Cup only to lose in six games against Barangay Ginebra. Balkman said he had a good time watching the Beermen as they take a 1-0 lead in their best-of-seven series. "They did a great job out there. I'm here, had a great time, watched the game. I love being here," said the former NBA player. "You know I just got to support my guys. I've been with these guys for a while," added Balkman. "There's just a personal level on us. Those are my brothers so no matter what, I'd go."